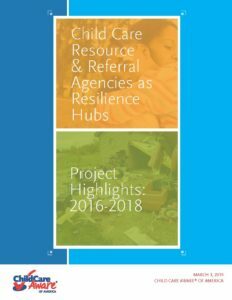 In 2016, Child Care Aware® of America launched a two-year training, technical assistance, and funding opportunity—Child Care Resource and Referral Agencies as Resilience Hubs. The goal of this training program was to increase the capacity of child care resource and referral agencies (CCR&Rs) to serve as resilience hubs in their communities in the event of emergencies or natural disasters. In total, three organizations were selected from the following states: Kansas, Minnesota, and Oklahoma. The program included a train-the-trainer initiative for CCR&R staff and provided funding support to resource and referral agencies in working with both center-based and home-based providers. 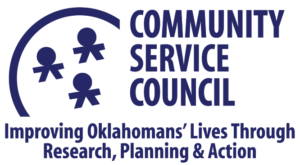 Congratulations to the three communities that were selected for the Child Care Resource and Referral Agencies as Resilience Hubs funding opportunity! The following report showcases some of the accomplishments from the project.